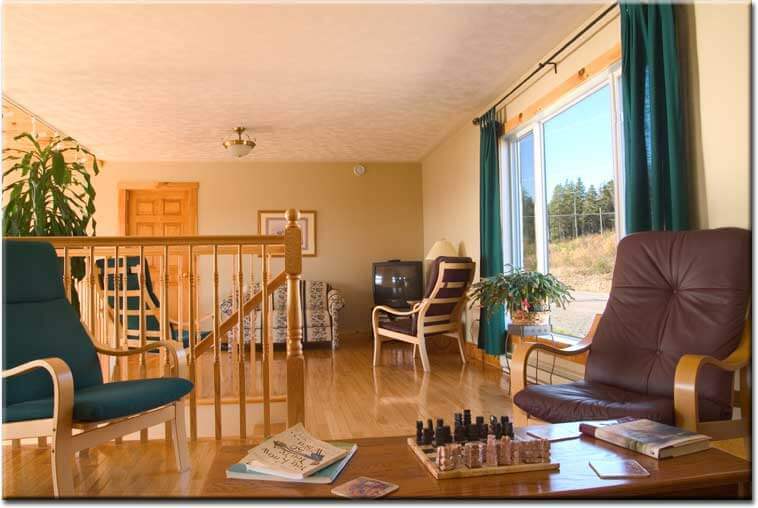 Perched as high as an eagle’s eyrie, Falcon Ridge Inn provides you with bird’s eye views over the picturesque Bay of Fundy. And more; much, much more. Watch the rise and fall of Fundy Bay’s gigantic tides, from a vantage point high on scenic Dow’s Hill. Study the brooding, beautiful Nova Scotia shoreline. Lounge in the Great Room, with its 20 foot high ceilings and superb views. Stroll around the seaside village of Alma, and make unforgettable forays into the great outdoors wilderness of Fundy National Park. Enjoy an exclusive, tucked away gem of an inn. 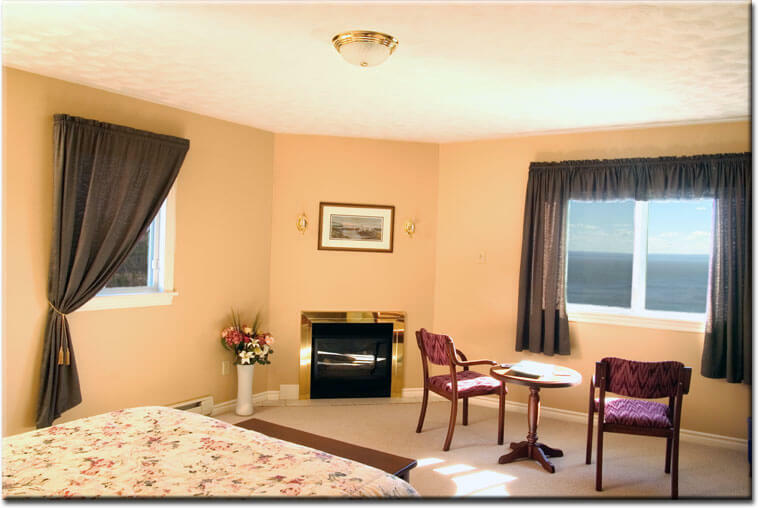 The decision to include Falcon Ridge Inn on your luxury, tailor-made holiday to Canada is a good one. 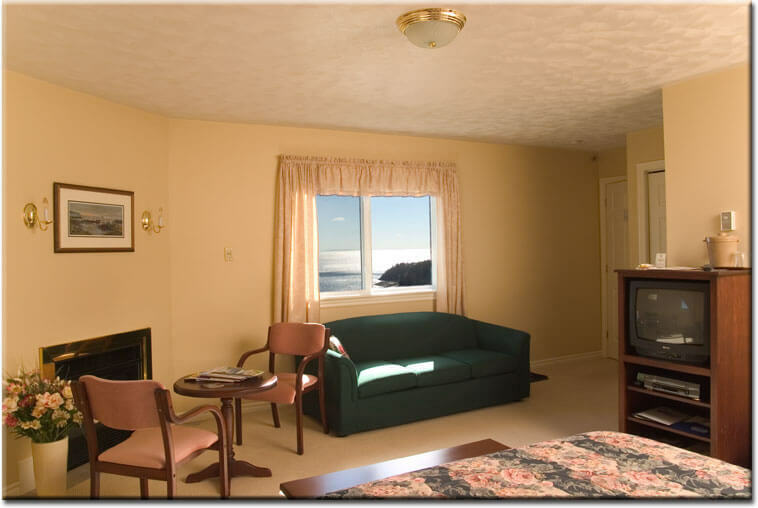 This welcoming, modern-but-cosy inn makes enjoying yourself extremely easy. There are only four guest rooms, so you are assured of the sort of personal attention that means details are taken care of, whilst you have the space to relax.